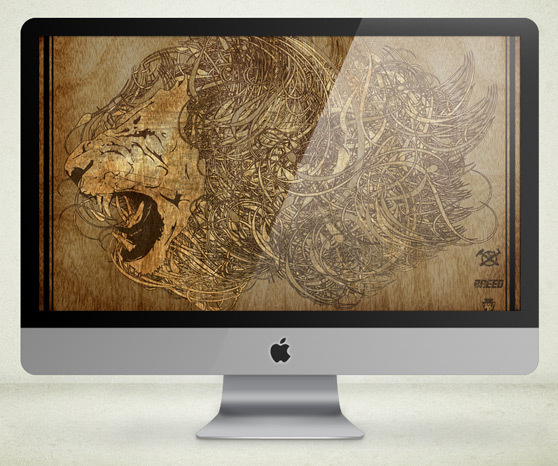 This week we have an incredible illustration by Daniel Gordon titled Iron Lion. Daniel is a talented designer from Auckland, New Zealand. The detail work in this illustration, specifically in the lion's mane, is simply amazing. I also love the wood texture used in the background. All together this is piece is one of my favorite wallpapers that we've featured thus far. See more of Daniel's work here and be sure to follow him on twitter @danielgordon. Get unlimited access to 2500+ design resources for only $7! Take a tour or sign-up now. Nathan Brown is an artist/designer from Austin Texas. He specializes in web design, poster design, and album cover art -- and has a particular affinity for grunge and retro design styles.